Dog and/or Cat Foster Parenting - we always need new foster homes! 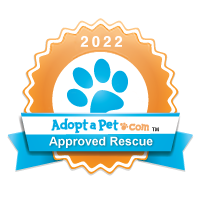 Foster dogs, cats, puppies or kittens in your home until permanent homes can be found (requires separate Foster Application). We are looking for several outgoing, reliable people to train to be Adoption Counselors for our cat program. Training would take place at our Frisco location (near Stonebriar Mall), but you must be willing to work at the Plano location (at Parker and 75). Duties will include talking to and screening potential adopters and taking care of the kitties (cleaning boxes, freshening food and water, and giving lots of love). Adoptions take place on Saturdays and Sundays from 12-5; you must be willing to work at least one 2.5 hour shift per month. No volunteers other than foster homes needed at this time. We always need volunteers for Special Events. No volunteers required for Admin at this time.